# Web Push notifications for Joomla! 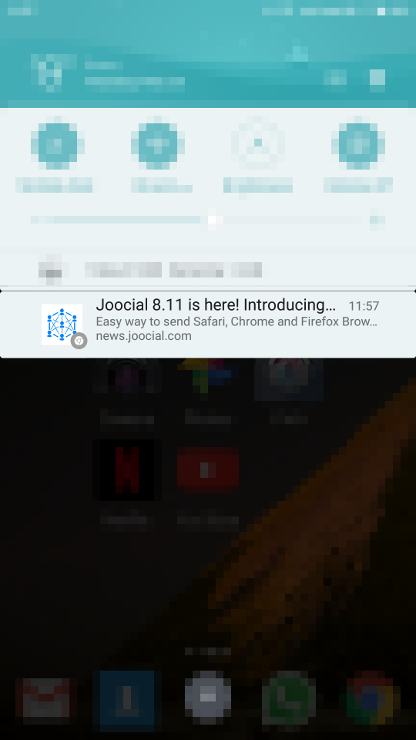 Web Push notifications for Joocial is a brand new feature to publish content posts from the CMS to Chrome, Firefox and Safari browsers. Web Push support has been introduced in Joocial 8.11.0. Web Push notifications are available on Chrome, Firefox and Safari browsers thanks to the implementation of Service Workers. This is an experimental technology. Because this technology's specification has not stabilized, check the compatibility table for usage in various browsers. Also note that the syntax and behavior of an experimental technology is subject to change in future versions of browsers as the specification changes.